Topic: What will our cities look like in a post-carbon future? When we no longer rely on fossil fuels, how will our citiesneed to change? 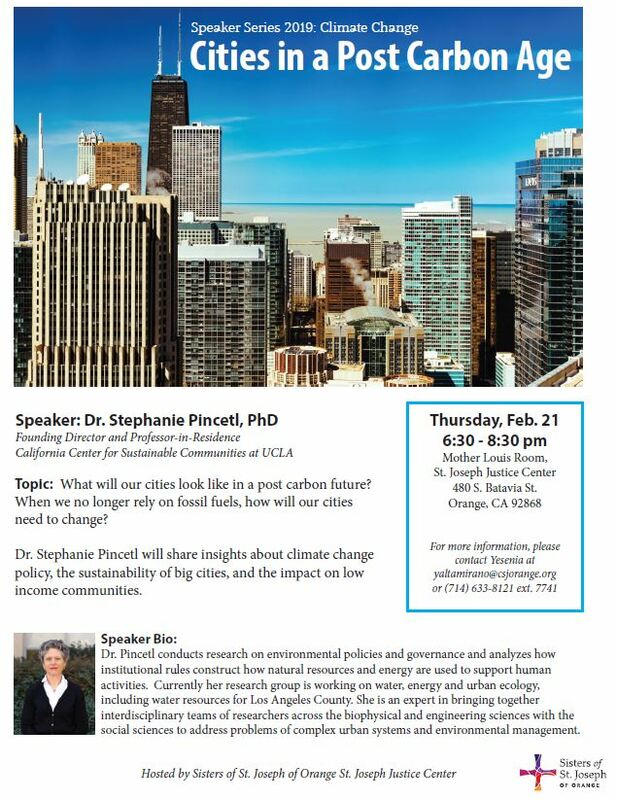 Dr. Stephanie Pincetl will share insights about climate change policy, the sustainability of big cities, and the impact on low-income communities.